Watch the video for “Homemade Music” released for the HOT WATER album. At the 1:26 mark, Jimmy reveals to the world that he had shaved off his moustache. I remember thinking at the time … “Oh Hell. Things have changed”. You ol’ dog you. I must have seen this video at one time, but I sure can’t remember it. Sure enough … Jimmy did announce the “Bare-Lip” Jimmy to the world—We just weren’t watching (at least I wasn’t). This makes it official. Just the other day, I learned both Jimmy and I had done something most people haven’t done … Surfed the beaches of Vietnam. I bet even the SurfPirate hasn’t done that. Then I’m watching this video, and I see something else we have in common. We’ve both worn a Deep-Sea Rig. Although, Bare-Lip (or Moustache for that matter) Jimmy probably hasn’t gone below the surface like I have (Deep-Sea/Scuba Diver in the Army). I sure wish I could find a couple of more guys like you and Doug to hang with. 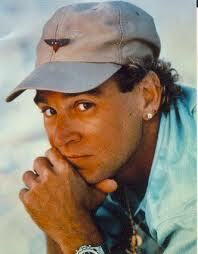 Both you guys are “Top-Knotch” Jimmy Buffett Fans. I have so much to learn from you guys. Keep it coming. I can’t thank you enough for your posting. First off, what a pleasure it was to converse with you. I thoroughly enjoyed our conversation. 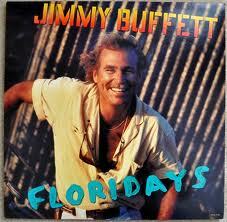 Speaking of “Moustache” Jimmy and “Bare-Lip” Jimmy, if you listen to “Floridays” from 1986 and then “Hot Water” from 1988, to me, there is even a difference in Buffett’s voice between the two albums. Maybe it’s just me…but I hear subtle differences in tone and phrasing. Now…I am not saying that shaving off his moustache changed his vocal intonation but for me, I can tell a difference…kind of more “mature” sounding, if you will. The pleasure is all mine. I love the “Bare-Lip” Jimmy vs. the “Moustache” Jimmy. Thanks for sharing it with me. It will be now I look at Buffett and his career from this perspective. I’m looking forward to more discussion on Buffett with you. It’s not often I run into your caliber of Buffett Fan, with the knowledge you have. it’s funny but I always thought there was a change in his voice as well. I never made a mustache connection though, heh. My thinking has always been that this was time in Jimmy’s life where he decided to ”grow up.” I think this is when he really started to take the music business seriously and showing up to the recording studio sober was probably part of that. I’ve always attributed that change to him signing sober. I’m not saying he stopped smoking pot and drinking, just that he didn’t do it while working. Thinking about it now I realize there might even be a tie in with his personal life, working on fixing his relationship with Jane, stuff like that. Maybe shaving the mustache was a way for him to move on from the past. I don’t know. That’s a great thought. This was a period of time when his working life and his personal life were in a state of flux. The Parrothead phenomenon was exploding and the business side of Margaritaville needed a more clear-headed (Ph)ounder* and CEO. And getting “clean” while working would certainly affect his vocals.